Principles, Logics, and Implementations of High-Level Programming Languages is a confederation of conferences and workshops aimed at the advancement of high-level programming languages. 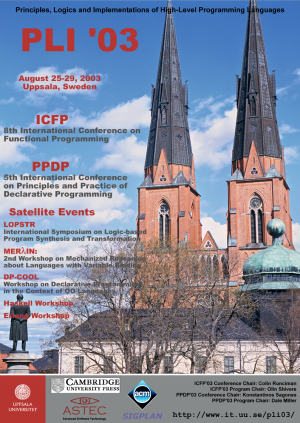 The first edition of PLI, held in September 1999 in Paris, brought together two popular conferences focused on functional and declarative programming languages, ICFP and PPDP, and several related satellite events. The following editions in Montreal, Firenze, and Pittsburgh continued this tradition. 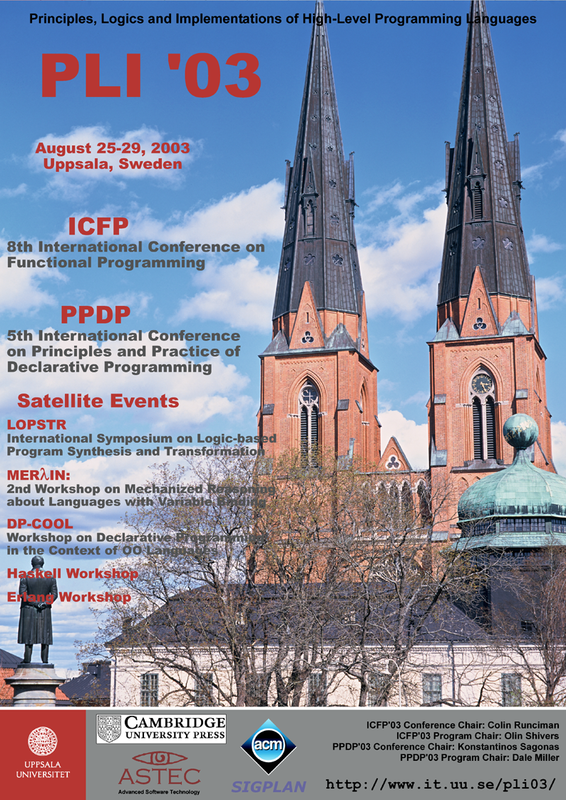 The fifth gathering in this series is hosted in Uppsala, Sweden.